New Gift Tags Are Here! Just in time for the holidays, the new gift tag collection is up! 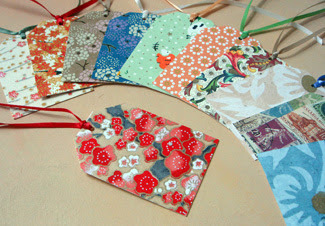 There are two styles available; ribbon tie tags (shown) and glassine envelope tags, and they incorporate some of my favorite Japanese, Nepalese, and traditional decorative papers. All tags are $1 and ship free!